Hardbody (feat. Fat Joe & M.O.P.) Big Shug, Fat Joe & M.O.P. Make It Rain Remix DJ Storm, Desert Storm South, Fat Joe, Lil Wayne, R. Kelly, Rick Ross, Baby & T.I. 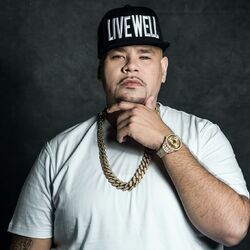 Discover more playlists and music by Fat Joe on PLAYLISTED. Like (feat. DJ Khaled, Busta Rhymes & Fat Joe) (Facts Remix), Los Gordos (feat. DJ Khaled), Attention and If It Ain't About Money (feat. Trey Songz).